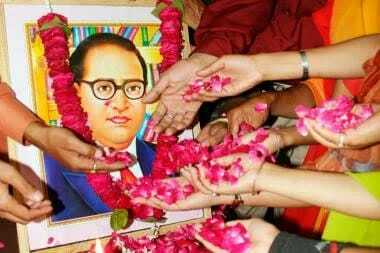 BSNLEU pays respectful homage to Dr.B.R.Ambedkar. BSNLEU pays it's respectful homage to Dr.B.R.Ambedkar, on the occasion of his 128th birth anniversary. He was the architect of the Indian Constitution, as well as one of the greatest crusaders against social discrimination that the world has seen. We pledge to tread on the path shown by him, to end social discriminations.